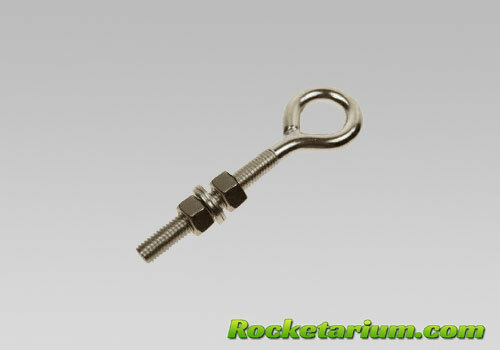 Eye Bolt is used to connect shock cord or other hardware to a bulk plate or mounting plate. Dimensions: 1/4-20 threads x 1.5" thread length, I.D. .50". Includes 2 SS nuts and 2 SS washers. Ideal for bulkheads up to 3/4" thick. Finish: Chemically cleaned and polished.